We know what it takes to make you look fabulous in your newly tailored suit or dress. We are able to make alterations on clothing that is purchased from your local mall, and transform them into garments that looks like it was purchased on 5th Avenue.  Expect fast and friendly service at an affordable price when you step into Shoe Repair and Beyond. We take pride in the job that we do and want every one of our customers to walk away happy with the quality of our work. If the any work we perform is not up to your standards, we will be glad to make additional adjustments at no extra cost. We look forward to serving you. Turn around time for most items is 1 week or less. Leather, fur and suede repairs. Formal wear for men and women. Restyling of sizes or models. Keep ORIGINAL hem of your jeans. Repair or alter of any garment.